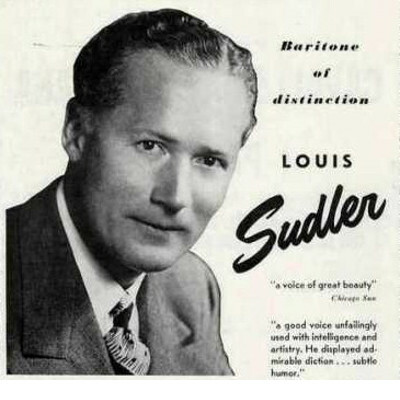 Before his death, Louis Sudler, a Chicago industrialist to whom the arts had been a major source of life satisfaction, endowed an annual prize in the arts at fourteen major universities: Yale, Harvard, Princeton, Dartmouth, Columbia, Johns Hopkins, MIT, University of Chicago, Michigan State, Oberlin College, Purdue University, Duke, Rice, and Stanford. At each institution, an annual prize in the creative and performing arts is awarded to the graduating senior who has demonstrated the most distinguished record of excellence in performance or creation in one of the following areas: music, theater, painting, dance, design, film, creative writing, and other areas of the arts (as determined by each institution). At Duke, the award is made by the Council for the Arts, a faculty committee appointed by the Vice Provost for the Arts. Each year the Council for the Arts awards a cash prize of $2,000 to the graduating senior selected as the outstanding student in the creative and performing arts. Arts department chairs are invited to forward one nomination, which the Council for the Arts Selection Committee then reviews and from this group of nominees, selects the prizewinner. The Sudler Prize in the Arts is awarded at the Annual Arts Awards Ceremony during Commencement Weekend. A letter of nomination from the head of the unit. This letter is important; it should be comprehensive and persuasive. At least one (more if appropriate) additional letter of recommendation from faculty members or others in the university community who can speak to the candidate’s qualifications and accomplishments. A copy of the student’s most recent transcript. A résumé listing the student’s activities in the arts at Duke, and any special projects or achievements off campus. The student should prepare this. Samples of the student’s creative/performing work in whatever form is appropriate (tapes, portfolios, reviews, published writing, scripts, etc.). Original materials will be returned. Samples of the student’s work and any materials that cannot be provided electronically can be delivered to the Vice Provost for the Arts, Smith Warehouse, Bay 8, Room B104 by 3:30pm. Students will be notified regarding the procedure for retrieving their work. The nomination packet should be sent electronically to danette.clark@duke.edu by 3:30 p.m., Monday, March 18, 2019. (We cannot be responsible for any non-electronic materials of value that are submitted with the nomination.) Direct all questions to danette.clark@duke.edu.